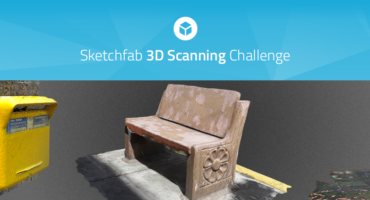 Sketchfab Community Blog - Sketchfab Voxel Challenge: Landmarks, with a Twist! The winner is Arc de Triomphe Portal! Hello builders and welcome to our latest voxel challenge! We want to be inspired by reality… and meld it with fantasy, inspired from your mind. What are we basing reality on? Recognizable landmarks! Take famous landmark from anywhere in the world and remain faithful to their design using voxels but add a little bit of fantasy to it. Maybe the Great Wall of China has fairies exploring it! Maybe the CN Tower is being scaled by an ogre! Does the Eiffel Tower have a new mystery set up in it, like in the Art Credit? Or maybe the Itsukushima Shrine is being invaded by samurai zombies? Either way, it’s up to you to add your flare to these already magnificent structures! Create an real landmark and expound on it with fantastical elements in voxels. EXM, winner of the last voxel challenge. Depending on your landmark, a LEGO™ set of your landmark. If your landmark isn’t covered, a Classic LEGO™ set. 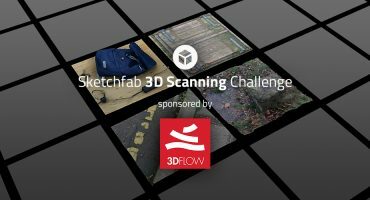 3 months of Sketchfab PRO to your account. Contestants models must be uploaded to Sketchfab and tagged #VoxelFantasyLandmarkChallenge to be considered. Depending on your landmark?… If your landmark isn’t covered?… Can you clarify this? What this means is that if your landmark is represented in one of the *existing* LEGO Architecture sets, then you will receive the corresponding LEGO set. For example, if you choose to represent Big Ben in London, you will receive LEGO #21034 (London). The LEGO web site has a list of current Architecture sets: https://shop.lego.com/en-US/Architecture-ByTheme. Otherwise you will get LEGO #10698, which is a “Classic” box of bricks. Sorry, i know this is stupid but how to join this contest? All you need to do it to upload your design and add the tag ‘VoxelFantasyLandmarkChallenge’ to your model. See detailed rules and instructions in the article above. when is the next contest? Where can I know about them? We’ll have another Voxel challenge in a few weeks. If you have uploaded any Voxel models to your Sketchfab portfolio you should automatically get an email notification. If not, keep an eye on our blog!